The caretakers at the Champaign County Animal Welfare League say 4-year-old Scooter’s smile matches his disposition. This happy fellow likes children and cats and is eager to be adopted. Aptly named Sonar nearly bit the bullet at another shelter, but was rescued and taken to PAWS. This energetic fellow needs a forever owner to pay him a call. Washington obviously has been in a few scrapes, but remains a sweet cat who deserves a safe, loving home. Check him out at PAWS Animal Shelter. Please meet Washington, who was found wandering around the bike trail around Washington Street (now you know how he got his name) and was brought to PAWS. He is a sweet, quiet, gentle cat. He is a big boy. He currently has an injury on his back paw which requires treatment before he goes to a forever home. He has had a tough life. He has been in some scrapes which has left few tears in his ears but that just adds to his charm. Washington is current on vaccinations and tested negative for Feline Leukemia and has been neutered. Please stop in PAWS and meet Washington I know you will fall in love with him. Stop by Paws Animal Shelter, 1535 W. U.S. Route 36, Urbana, Ohio 43078 or call Paws Animal Shelter at 937-653-6233. The Shelter hours are Tuesday-Friday 12-5 p.m., Saturday 12-4 p.m., Sunday and Monday-closed. You can email us at pawsurbana@hotmail.com. Visit us at www.facebook.com/paws.urbana. Hey, my name is Sonar. My life almost ended last month when I was on the list to be killed at another shelter. I was saved and brought to PAWS Shelter in Urbana. I am a 1 1/2-year-old mixed breed boy. You know what they say…… “mixed breeds are the best of everything” . 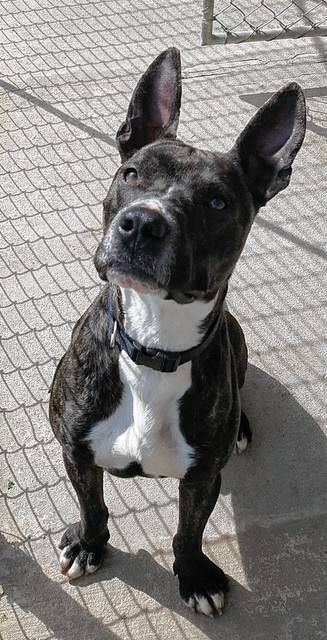 I have a lot of energy and I love to run and play and my tail wags and wags when you humans stop at my kennel to see me. I take treats really nicely and the staff tells me I have very soulful eyes. I don’t know what that means but they always smile when they say it. I like to go to DQ and get ice cream too! I ride really well in the front seat …. I just curl up and sleep till we get to the DQ. I am very interested in the kitties. Maybe I would like them. I don’t know, and I’m pretty particular about my doggie friends but I’m trying to learn to make new friends. I am neutered and have had all my vaccinations. Please stop and see me. Maybe we can take a walk! Thanks for reading about me and don’t forget where I am….. I’m at PAWS in Urbana. 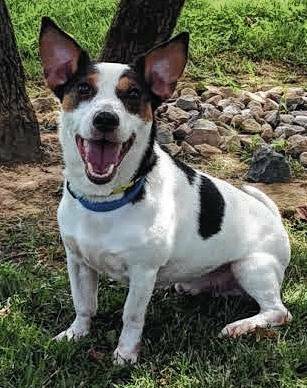 The Champaign County Animal Welfare League is proud to present Scooter, a happy-go-lucky Jack Russell Terrier mix. Scooter came to us as an owner surrender and his congenial nature indicates that he has had a caring home in his past. He is 4 years old and weighs in at 21 1/2 pounds. Scooter is house-trained and good with children and cats. He is a joyful boy who enjoys being the center of attention. As with all CCAWL pets, he is neutered, heart worm tested, fully vaccinated, wormed, and treated with heart and flea worm prevention and recently had a dental clinic. He does well in a kennel but would much prefer being in your yard or lap. As with most Jack Russell’s, he is very smart and anxious to please. If you would like to visit Scooter, please come by our facility at 3858 state Route 56, Mechanicsburg any day except Sunday and Tuesday. You may also phone us at 937-834-5236. The first Saturday of each month, we are closed for training and orientation. We are always grateful for your donations of laundry soap, dryer sheets, collars, leashes and harnesses. To see a listing of our available pets, please visit petfinder.com and/or adoptapet.com. We require an approved adoption application for all adoptions. You may fill out an application in house or download an application from our webpage at www.champaigncoanimalwelfareleague.com. Our adoption/donation is $150.00 cash or check only. To see our updates and follow our growth, please check us out on Facebook. All our newest arrivals are previewed on our Facebook page first to give our followers a first glimpse of new residents. https://www.burgtelegram.com/wp-content/uploads/sites/17/2017/06/web1_2017-Scooter-PhotoShop.jpgThe caretakers at the Champaign County Animal Welfare League say 4-year-old Scooter’s smile matches his disposition. This happy fellow likes children and cats and is eager to be adopted. https://www.burgtelegram.com/wp-content/uploads/sites/17/2017/06/web1_IMG_9495.jpgAptly named Sonar nearly bit the bullet at another shelter, but was rescued and taken to PAWS. This energetic fellow needs a forever owner to pay him a call. 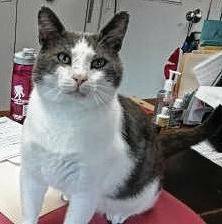 https://www.burgtelegram.com/wp-content/uploads/sites/17/2017/06/web1_IMG_9737.jpgWashington obviously has been in a few scrapes, but remains a sweet cat who deserves a safe, loving home. Check him out at PAWS Animal Shelter. Information is provided by Champaign County shelters and rescues.